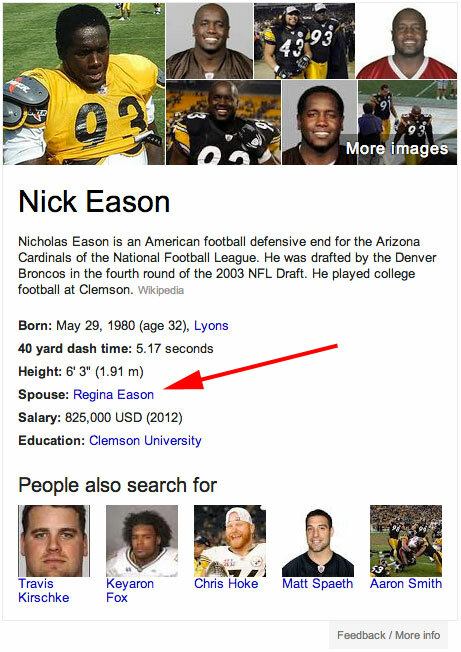 Google's Knowledge Graph Not Too Current? Seven months ago, the Google Knowledge Graph launched and since then, it has been an incredibly important part of Google search and the future of Google search. That being said, how quickly does Google update that data? With web search, the results can be within minutes updated - extremely fresh. But the knowledge graph, if it needs an update, it can take months and months. 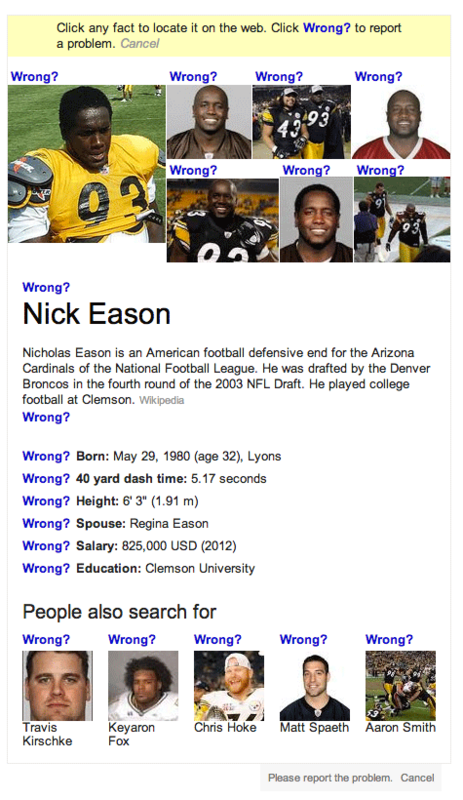 Case in point, an agent for a football player posted that his client wanted information removed from his knowledge graph. The agent posted the request in the Google Webmaster Help forums almost three weeks ago. In fact, he posted it in other forums as well. The process to report issues is to click on the "Feedback / More info" link on the bottom right of the knowledge graph. Then it brings up "wrong" links all over the data elements. You click "Wrong" on the appropriate data link and it sends that data to someone at Google. The issue is, that feedback was sent almost three weeks ago and the details of the knowledge graph have yet to change. How long does it take? How long should it take?